Tough economic times are also devastating for companion animals. As more and more families across the U.S. lose their homes to foreclosure, a new animal rescue issue is arising: an influx of animals to our nation's shelters as families can no longer afford to keep them, or as pets are not welcome in their families' new accommodations. The need is great. More than 800,000 American families lost their homes in the last year alone due to foreclosure. You can help. Sign the pledge below and tell a friend. With tough economic times, new heroes are needed to help at-risk animals. Awareness and action can make a world of difference to an animal who suddenly ends up at a shelter. Pledge to help pet victims of foreclosure, and to help see our nation's shelters and families through this economic hardship. • Volunteering my time to my local shelter. • Making a monetary donation to my local shelter(s) as I'm able to - any amount helps! *Examples of needed in-kind donation include: bath towels, fleece blankets, tennis balls, extra large KONG® toys, cat toys, grain-free dog or cat treats, dog collars and leashes, martingale dog collars, easy-walk harnesses, cat collars (quick-release), dog crates and kennel cabs, grooming tools, cat litter, scratching posts, gently used plastic cat carriers, large dog crates. Contact your local shelter for their needs! • Never leave pets behind when you vacate your home; they will not survive if abandoned in the home or set loose. Any extra effort you make now on behalf of your pet helps the rest of your family, too: the comfort and companionship of pets can provide therapeutic benefits to family members by easing the strain of moving to a new residence. 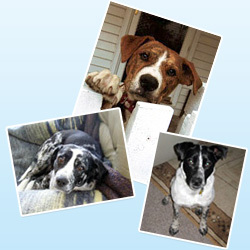 • Ask family, friends and co-workers if they will care for your pets while you relocate. As stressful as this temporary relocation may be, it is most times less harmful than the stress of surrendering a family pet to a shelter. • Your local vet may be able to help! Ask your veterinarian if you can receive low-cost boarding for your pets, or set up a payment plan for boarding costs, while you relocate your family. • If you cannot find temporary placement for your pets, visit www.petfinder.com to search for animal shelters in your area where you can safely surrender ownership of your pets. Be sure to understand the shelter's euthanasia policies and how they may affect your pets before surrendering them.